1. NAME AND PURPOSE: The Society of Environmental Journalists Awards for Reporting on the Environment honor the year's most outstanding journalism on environmental subjects. 2. GOVERNANCE: Annually, at its January meeting, the SEJ Board of Directors will appoint an Awards Committee consisting of at least three people, including a chairperson or co-chairs, each of whom will serve one-year terms. The committee must always have an odd number of members to avoid evenly split votes, and the board must appoint a replacement if there is a mid-year vacancy. The Awards Committee is responsible for establishing, amending and interpreting contest rules, appointing judges and screeners, and otherwise assisting the awards director in administering the contest. Judging panels are appointed to contest categories by the Awards Committee and are responsible for choosing place-winners from entries that comply with contest rules. The awards director is responsible for day-to-day administration of the contest, in consultation with the Awards Committee. Only the judging panels may select the contest winners, not the Awards Committee or the SEJ board, staff or awards personnel. Members of the Awards Committee, however, may serve as screeners to narrow the number of entries to be submitted to the judges. 3. PRIZES: First-place winners in Carmody Investigative, Beat Reporting, Explanatory Reporting, Feature Story, Reece Student Award and Rachel Carson Book categories receive $500, a trophy and certificate. Winners of second place receive $250 and a certificate. The Reece Student Award first-, second-, and third-place winner(s) (or selected representative, if a group project) will receive travel and registration expenses to receive the award at a luncheon held during SEJ's annual conference. Third place and honorable mentions in all categories receive a certificate. All winners and recipients of honorable mentions will receive discounts on registration fees for the annual conference. Registration rates will be announced by August 2019. 4. 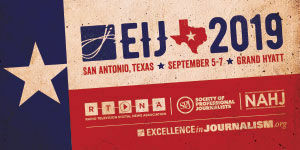 ELIGIBLE ENTRANTS: Any journalist may enter unless he or she is a member of the SEJ Board of Directors, Awards Committee, SEJ staff or awards personnel. Exceptions will be made if an SEJ board member is part of a group entry, provided that the board member does not play a significant role. Students enrolled in a university, college or high school are eligible for the student category, except for mid-career journalists who return to school, post-graduate students and students sharing a byline with non-students. Judges may enter, but not in a category in which they are judging. 5. ELIGIBLE SUBJECTS: Only journalism that is predominantly about an environmental subject is eligible for the contest. The Awards Committee is the final authority for determining whether an entered story meets that standard. 6. ELIGIBLE ENTRIES: Only journalism that is published or broadcast in a media outlet accessible to the general public — including cable or online content — may be entered in the contest. The original release date, except in the case of the Book Award, must be during the 12-month period that began March 1, 2018 and ended the last day of February 2019. Series that begin or end during the designated contest period qualify in their entirety, but a specific series may only be entered in one contest year, and rules concerning the number of stories to be submitted for each category still apply. Only stories published or aired by the original media outlet are eligible. Republished or rebroadcast stories are not eligible. A story that has been entered in the contest may not be entered again in the same or another category in the current year, or subsequent years, even if it has been republished in a different medium (print to online, for example). Stories entered in the student category must be published or aired in a media outlet accessible to the general public, including campus media, journalism produced during internships and part-time jobs. Class assignments not published, posted or broadcast to the public are not eligible. Stories or projects produced by SEJ are not eligible. Work published in web logs and other personal websites is eligible as long as the site is accessible to the general public. Books must have been published during the calendar year directly preceding the contest deadline, i.e., January 1 - December 31, 2018, for the contest closing April 1, 2019. 7. NON-ENGLISH ENTRIES: Entries in languages other than English must be accompanied by a complete and accurate English translation. 8. GROUP ENTRIES: In addition to individuals, groups may enter as a team (except in the beat-reporting categories listed below). Only individuals or groups of individuals may enter — not publications, stations or other corporate entities. Reporters with bylines, photographers, graphic artists and reporters without bylines who were given credit for reporting on the entered stories may be included in the reporting team. In all categories, if a team is awarded prize money, the cash award will be sent to the primary reporter for distribution. (A “primary reporter” is identified for purposes of processing the entry only and is not equated with having a special journalistic role in the entry.) SEJ may, for budgetary reasons, choose to limit the number of individual certificates or other materials presented to winning group entries. Kevin Carmody Award for Outstanding Investigative Reporting, Large Market: An investigative report or series on a single environmental topic, originally published or aired between March 1, 2018, and February 28, 2019. Investigative reporting uses journalistic skills to disclose facts about businesses, government agencies or other people that, absent the reporting, would not likely be disclosed. Judges will be encouraged to weigh the results of the reporting in their deliberations. Related stories published on the same day count as one part of a series. Audio and video stories must not exceed 60 minutes; print and online series must not exceed five parts. A cover letter is optional. Multimedia links may be included as supplemental materials. Eligibility: Only stories published or aired by the original media outlet are eligible. Republished or rebroadcast stories are not eligible. Print media: 125,000 or more average daily circulation, according to the latest audited figures; TV and radio: national networks in the U.S. and elsewhere and top 40 TV and radio markets in the U.S. as determined by Nielsen; online: online news organizations with 50 or more employees. Small-market entities collaborating with large-market entities qualify as large-market. PDF or MP3 files, 10.5MB max, or links are accepted. Kevin Carmody Award for Outstanding Investigative Reporting, Small Market: An investigative report or series on a single environmental topic, originally published or aired between March 1, 2018, and February 28, 2019. Investigative reporting uses journalistic skills to disclose facts about businesses, government agencies or other people that, absent the reporting, would not likely be disclosed. Judges will be encouraged to weigh the results of the reporting in their deliberations. Related stories published on the same day count as one part of a series. Audio and video stories must not exceed 60 minutes; print and online series must not exceed five parts. A cover letter is optional. Multimedia links may be included as supplemental materials. Eligibility: All outlets and publications falling outside the large-market definition that are published or aired by the original media outlet are eligible. Republished or rebroadcast stories are not eligible. Small-market entities collaborating with large-market entities qualify as large-market. PDF or MP3 files, 10.5MB max, or links are accepted. Outstanding Beat Reporting, Large Market: Up to five broadcast or published news reports and/or commentary on a broad range of environmental topics or a broad range of various issues within a single environmental topic published or aired between March 1, 2018, and February 28, 2019 may be submitted. Entry must be the work of an individual, either alone or with a small supporting team. Related stories published or aired on the same day count as one story. Audio and video entries must have a combined total running time of no more than 60 minutes. A cover letter is optional. Multimedia links may be included as supplemental materials. Eligibility: Only stories published or aired by the original media outlet are eligible. Republished or rebroadcast stories are not eligible. Print media: 125,000 or more average daily circulation, according to the latest audited figures; TV & Radio: national networks in the U.S. and elsewhere and top 40 TV and radio markets in the U.S. as determined by Nielsen; online: online news organizations with 50 or more employees. Small-market entities collaborating with large-market entities qualify as large-market. PDF or MP3 files, 10.5MB max, or links are accepted. Outstanding Beat Reporting, Small Market: Up to five broadcast or published news reports and/or commentary on a broad range of environmental topics or a broad range of various issues within a single environmental topic published or aired between March 1, 2018, and February 28, 2019 may be submitted. Entry must be the work of an individual, either alone or with a small supporting team. Related stories published or aired on the same day count as one story. Audio and video entries must have a combined total running time of no more than 60 minutes. A cover letter is optional. Multimedia links may be included as supplemental materials. Eligibility: All radio, TV, print and online publications falling outside the large-market definition in the paragraph above that are published or aired by the original media outlet are eligible. Republished or rebroadcast stories are not eligible. Small-market entities collaborating with large-market entities qualify as large-market. PDF or MP3 files, 10.5MB max, or links are accepted. Outstanding Feature Story: Entry must be a single environmental interest story not directly tied to a recent news event, with an emphasis on storytelling. Entries must be published between March 1, 2018, and February 28, 2019. Multi-part stories are prohibited. A cover letter is optional. Multimedia links may be included as supplemental materials. Eligibility: All radio, TV, print and online publications published or aired by the original media outlet are eligible. Republished or rebroadcast stories are not eligible. PDF or MP3 files, 10.5MB max, or links are accepted. Outstanding Explanatory Reporting: A story, series or occasional series that illuminates a significant, complex environmental subject, demonstrating mastery of the subject, storytelling and clear presentation, published or aired by a single news organization. Entries must be published between March 1, 2018, and February 28, 2019. Related stories published or aired on the same day count as one story. Audio and video stories must not exceed 60 minutes; print and online series must not exceed five parts. A cover letter is optional. Multimedia links may be included as supplemental materials. Eligibility: All radio, TV, print and online publications published or aired by the original media outlet are eligible. Republished or rebroadcast stories are not eligible. PDF or MP3 files, 10.5MB max, or links are accepted. Rachel Carson Environment Book Award: A nonfiction book, originally published between January 1 and December 31, 2018, covering an environmental topic. Memoirs and picture books are not eligible. However, photojournalism books that tell an environmental story through images and text are eligible. Ray Reece "Excellence in Environmental Journalism" Student Award: A story or series on an environmental topic by a student or group of students enrolled in a university, college or high school at the time the content was produced. Entry stories must have been published, aired or otherwise produced in a media outlet accessible to the general public and published between March 1, 2018, and February 28, 2019. Related stories published or aired on the same day count as one story. Audio and video stories must not exceed 60 minutes; print and online series must not exceed five parts. A cover letter is encouraged but optional, and can help judges understand difficulties the reporter faced, impacts of the story, etc. Multimedia links may be included as supplemental materials. Eligibility: All radio, TV, print and online content published or aired by the original media outlet are eligible, including campus media, and journalism produced during undergraduate internships and student-held part time jobs. Class assignments not published, posted or broadcast to the public are not eligible. 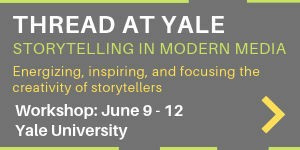 Also excluded are stories with bylines shared with non-students and work from post-graduate internships. Mid-career journalists who have worked five or more years as full-time professional journalists before returning to school are not eligible. Republished or rebroadcast stories are not eligible. Links are preferred, but PDF files, 10.5MB max, are also accepted. 10. MULTIPLE ENTRIES: Individuals or groups may participate in more than one entry per year, in the same category or in different categories. However, no story may be included in more than one entry and each entry must be submitted separately with a separate entry fee. This means, for example, that the same package of stories cannot be entered in more than one category and each story in a package may be part of only one entry. 11. ENTRY FEE: In all categories SEJ members in good standing, or teams that include at least one SEJ member in good standing, must pay SEJ a fee of $45 per entry to be eligible for judging. Non-members who do not wish to join must pay $110 per entry. A group or team entry pays the same fee as individual entry. Non-members who wish to join SEJ for the first time, and who qualify, must first apply for membership and pay their first-year discount member dues ($40), then log in to enter at the member rate. Eligibility standards must be met. If a membership application is declined, the applicant will be billed $65 to make up the non-member rate and the member dues will be refunded. Refunded dues cannot be applied to contest fees. Applicants should be aware of membership eligibility criteria before applying for membership. Find information about membership and a link to the application. Broadcast and online entries may be submitted as viable website links to stories on a website maintained by the entrant or publisher of the entry. Television and radio links must yield good quality visual and audio replay. All broadcast entries must include a complete transcript. Print entries may be submitted as viable web links where the entry is viewable on a website maintained by the entrant or publisher of the entry, or by uploading 10.5MB-maximum low-resolution PDFs. Online or uploaded files must match the original aired, published or posted entry, with all graphics, headlines and photos included (where applicable), with the exception of newswires who do not maintain their own hosted website. Such newswires may submit computer printouts saved as 10.5MB-maximum low-resolution PDFs. Online entries may not include updates posted after the contest cutoff date of Feb. 28, 2019. Book entries must be submitted as published: hardbound, paperbound or electronic. Computer printouts or proofing copies will not be accepted. For electronic publications, access instructions must be included and costs associated with access provided. Instructions are posted on the Preparation Rules page. In all cases, if uploads and links are not possible, instructions for mailing hard copies can be found on the Preparation Rules page. 13. COMPLETENESS OF ENTRY: An entry will be considered complete and eligible for judging if it 1) complies with the contest rules; 2) includes the correct entry fee; 3) includes a submitted electronic entry form including links or uploaded files of all pertinent stories or productions. If electronic links and uploads are not possible, the entrant may ship FOUR copies of the entry stories according to the instructions on the Preparation Rules page. Hard copies must be legible copies of print stories including graphics, headlines and photos included (where applicable). Some entrants may also be asked to provide documentation demonstrating that they are eligible for the category they are entering. 14. INCOMPLETE OR NON-COMPLYING ENTRIES: The awards director, Awards Committee or the committee chair or co-chairs may disqualify entries that are incomplete, illegible (such as exceptionally small type or poor photocopying) or otherwise do not comply with the contest rules. In cases where the awards director or Awards Committee determines that an entry is substantially but not fully complete, the awards director may contact entrants and give them extra time to provide any missing copies or other required information after the regular entry deadline. Entry fees will not be refunded to disqualified entrants. 15. DISCLOSURE: Any material corrections or retractions following the original distribution of the work, as well as any conflicts of interest or any appearance of a conflict of interest, must be disclosed on the entry form. Failure to do so will result in the disqualification of the entry. 16. CATEGORY SWITCHES: The SEJ Awards Committee and/or awards director may switch entries between categories if the entry was deemed incorrectly classified. 17. ANNOUNCEMENT OF WINNERS: Winners will be announced in August, or as soon as possible after judges have completed their deliberations. Awards will be presented at SEJ's annual conference. 18. DISPLAYING AND ARCHIVING WINNERS: Copies of place-winning stories will be retained as an archive by SEJ and may be reproduced on the SEJ website and in SEJ publications at SEJ's discretion. 19. RULES CHANGES: In close consultation with the awards director, the Awards Committee by majority vote may amend the contest rules prior to the call for entries, including modifying the categories, award amounts and entry fees. The contest's budget, however, must always remain within the limits established by the SEJ executive director and the board of directors. 20. POSTING OF RULES: Contest rules are posted on the public portion of the SEJ website. If possible, the names and affiliations of all judges and Awards Committee members will also be posted there. 1. APPOINTMENT OF JUDGES: For each contest category the Awards Committee each year will appoint a panel of at least three judges, including a panel chairperson responsible for making sure the panel follows the rules, meets the judging deadline and writes citations for the place-winners. Each panel must have an odd number of judges to avoid evenly split votes. At its discretion, the Awards Committee may appoint the same judge or judging panels to select winners in more than one category. All judges will be selected before March 1, and preferably earlier, for the contest being judged April through July 1. 2. SCREENERS: The committee may appoint at least two screeners per category to narrow the number of entries for consideration by the judges. Committee members may serve as screeners. Screeners must follow the same conflict-of-interest requirements as judges. 3. QUALIFICATIONS FOR JUDGING: All judges must be either news professionals or journalism educators, or have similar qualifications the Awards Committee considers appropriate. Judges must read and familiarize themselves with the contest rules and abide by them. Members of the SEJ Awards Committee, the SEJ governing board, SEJ staff and awards personnel may not serve as judges. Judges serve as volunteers. 4. REMOVAL AND REPLACEMENT OF JUDGES: The Awards Committee will appoint a replacement for any judge unable or unwilling to follow the contest rules or otherwise fulfill her/his obligations as a judge in the contest. Mere disagreement with a judge's selection of a winner is not grounds for removal by the Awards Committee. If the Awards Committee determines that a judge it has selected is not qualified, the committee will name a replacement. 5. JUDGE RECUSALS: Judges must recuse themselves from judging or in any way discussing all entries from their own news organizations. (This does not apply to organizations that share a common corporate ownership but are managed separately, such as newspapers or stations in different cities that are owned by the same corporate parent, unless they are part of a single news network.) Whenever a judge is uncertain whether a recusal should occur, the judge will contact the Awards Committee, which will determine whether a recusal is appropriate. A judge who has recused herself/himself from judging an entry may participate in judging the other entries in the same category. However, if a judging panel determines that, because of a recusal, it cannot reach a decision on selecting place-winners, the Awards Committee may replace the recused judge. 6. JUDGING PROCESS: Judging panels must meet in person or via electronic conferencing or email to select place-winners. The chairperson of each panel is responsible for selecting dates and times for judging that are convenient for the entire panel. Judges may not discuss contest entries with anyone outside their judging panel, and may not discuss entries with other panel members unless the entire panel is participating in the discussion. 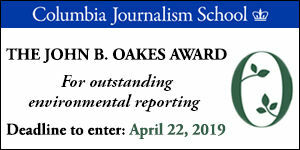 Judges will use their own judgment in determining which entries constitute the most outstanding journalism on environmental subjects in the categories they are judging. At its discretion, the Awards Committee may, at the beginning of the judging process, provide all of the contest's judges with standardized, non-binding guidelines to help judges evaluate entries. Judges must consider the entered stories and the supplemental materials in judging an entry. 7. QUESTIONS FROM JUDGES: Judges will contact the awards director or the Awards Committee if they have questions about interpreting the rules of the contest, including whether an entry is in the correct category, whether a story is on an "environmental subject" or whether an entrant is eligible to participate. The Awards Committee, by majority vote, has the final authority to interpret the rules of the contest and will advise the judges accordingly. The committee's role in those cases is strictly limited to interpreting the contest rules and may not include expressing a preference for any particular entry. 8. NUMBER OF WINNERS: The judges may select up to three ranked place-winners and three honorable mentions in each category. Judges are free to select fewer or no place-winners or honorable mentions if they believe no entries are deserving of the honors. Ties are not allowed. No more than six entrants may be honored per category. 9. DISPUTES: Judging panels will make every reasonable effort to reach a consensus in selecting place-winners. If there remains a split decision on any place-winners, the majority rules. If a member of a judging panel believes a fellow judge is not following the rules of the contest, the complaining judge may contact the director of awards or the Awards Committee. The Awards Committee will determine whether the contest rules are being violated. Judging panels' selections of place-winners are final except in extraordinary cases in which the Awards Committee determines that the contest rules have been violated. The Awards Committee may not overturn a judging panel's decision merely because the committee believes another entry is more worthy. The committee may act only if by majority vote it determines that the judging process violated the contest rules or that a place-winning entry must be disqualified for failing to comply with the rules. In that extraordinary case, the judging panel will promptly reconvene and make another selection. Under no circumstances will the Awards Committee, the SEJ board of directors, the SEJ staff or awards personnel select winners or honorable mentions. 10. CITATIONS FOR WINNING ENTRIES: With input from the rest of the panel, the judging chairperson will write brief statements (at least one paragraph each) explaining why the place-winning entries are worthy of special recognition. These citations must be reviewed and approved in writing by all members of the judging panel, and then sent to the awards director. They may be published later in SEJournal Online and on SEJ's Internet newsgroups and web pages after the winners are publicly announced. 11. JUDGING DEADLINE: All judging panels must make their final decision no later than July 1. By that date, the chairperson of each panel must inform the awards director of the panel's decision and send the director the citations for the winning entries. All judges on each panel must independently communicate their agreement with the panel's decision. The awards director will then review all the place-winning entries and honorable mentions with the committee chairperson(s) to ensure that they comply with contest rules. 12. CONFIDENTIALITY: Judges must never divulge any information about their deliberations, including their evaluation of individual entries, except to inform the Awards Committee about which entries are award recipients and to transmit the citations for the prize-winning entries. The only exception is that under extraordinary circumstances judges may be asked by the Awards Committee to discuss their deliberations with the awards director and/or committee, but only if the director or committee believes that information will help them make a determination on whether the judging process or a particular entry violates the contest rules. In that case, the awards director and/or committee will also keep that information strictly confidential. 1. NAME AND PURPOSE: The Nina Mason Pulliam Award will honor the "best of the best" of the Society of Environmental Journalists Awards for Reporting on the Environment by selecting one entry from the first-place SEJ Award winners in 2019. 2. PRIZE: The winner will receive $10,000 and a trophy, as well as full registration, travel and lodging to attend SEJ's 2019 conference (up to $2,500), to be presented with the prize at the awards presentation ceremony in October 2019, in Fort Collins, CO.
3. ELIGIBLE ENTRANTS: First-place winners of the current year SEJ Awards for Reporting on the Environment are eligible and automatically entered. First-place winner of SEJ's Rachel Carson Environment Book Award will have to supply five more copies of printed books to be eligible for the Nina Mason Pulliam award, unless the book is published electronically. First-place winners in other categories that were entered as hard copies will have to supply five more hard copies of the entries: print, CDs or DVDs. 4. DISCLOSURE OF WINNERS: The winner will be announced in August, or as soon as possible after judges have completed their deliberations. The award will be presented at SEJ's annual conference. 5. DISPLAYING AND ARCHIVING WINNERS: A copy of the place-winning entry will be retained as an archive by SEJ and may be reproduced on the SEJ website and in SEJ publications at SEJ's discretion. SEJ further grants to the Trust or its designee a nonexclusive, irrevocable, fully transferable, worldwide license to publish excerpts of the winning entry. The Trust’s publication of such excerpts may be in all media of expression now known or later developed furtherance of the Trust’s nonprofit purposes (including, without limitation, in the Trust’s annual, periodic, or special reports, its web site, and its brochures, guidelines, requests for proposals, and other materials). 6. NUMBER OF WINNERS: The judges will select a single winner. Ties are not allowed. 7. GOVERNANCE: The Nina Mason Pulliam Award was developed by The Nina Mason Pulliam Charitable Trust in collaboration with the Society of Environmental Journalists and the Society of Professional Journalists (SPJ). SEJ's Awards Committee is responsible for establishing, amending and interpreting the contest rules and appointing judges. The committee may opt to enlist SPJ's help for judge recruitment and other assistance in administering the contest. Judging panels are responsible for choosing the winner from the place-winners of SEJ's Awards for Reporting on the Environment. Only the judging panel may select the contest winners, not the Awards Committee or the board, staff or awards personnel of SEJ or SPJ, or the board or staff of the Nina Mason Pulliam Charitable Trust. 1. APPOINTMENT OF JUDGES: The Awards Committee will appoint a panel of at least three judges, including a panel chairperson responsible for making sure the panel follows the rules, meets the judging deadline and writes citations for the winner. The panel must have an odd number of judges to avoid evenly split votes. All judges will be selected before July 1, and preferably earlier, for the contest being judged July 1 (or when SEJ Awards first-place winners have been selected) through August 20. 2. QUALIFICATIONS FOR JUDGING: All judges must be either news professionals, or journalism educators, or have similar qualifications the Awards Committee considers appropriate. Judges must read and familiarize themselves with the contest rules and abide by them. Members of the SEJ Awards Committee, the SEJ governing board, SEJ staff and awards personnel, SPJ board, staff or awards personnel and the board or staff of the Nina Mason Pulliam Charitable Trust may not serve as judges. Judges serve as volunteers. 3. REMOVAL AND REPLACEMENT OF JUDGES: The Awards Committee will appoint a replacement for any judge unable or unwilling to follow the contest rules or otherwise fulfill her/his obligations as a judge in the contest. Mere disagreement with a judge's selection of a winner is not grounds for removal by the Awards Committee. If the Awards Committee determines that a judge it has selected is not qualified, the committee will name a replacement. 4. JUDGE RECUSALS: Judges must recuse themselves from judging or in any way discussing all entries from their own news organizations. (This does not apply to organizations that share a common corporate ownership but are managed separately, such as newspapers or stations in different cities that are owned by the same corporate parent.) Whenever a judge is uncertain whether a recusal should occur, the judge will contact the Awards Committee, which will determine whether a recusal is appropriate. A judge who has recused herself/himself from judging an entry may participate in judging the other entries in the same category. However, if a judging panel determines that, because of a recusal, it cannot reach a decision on selecting place-winners, the Awards Committee may replace the recused judge. 5. JUDGING PROCESS: The panel must meet in person or via electronic conferencing or email to select the winner. The chairperson is responsible for selecting dates and times for judging that are convenient for the entire panel. Judges may not discuss contest entries with anyone outside their judging panel, and may not discuss entries with other panel members unless the entire panel is participating in the discussion. Judges will use their own judgment in determining which entry constitutes the most outstanding journalism on environmental subjects. At its discretion, the Awards Committee may, at the beginning of the judging process, provide all of the contest's judges with standardized, non-binding guidelines to help judges evaluate entries. Judges must consider the entered stories and the supplemental materials in judging an entry. 6. QUESTIONS FROM JUDGES: Judges will contact the awards director or the Awards Committee if they have questions about interpreting the rules of the contest. The Awards Committee, by majority vote, has the final authority to interpret the rules of the contest and will advise the judges accordingly. The committee's role in those cases is strictly limited to interpreting the contest rules and may not include expressing a preference for any particular entry. 7. DISPUTES: Judging panels will make every reasonable effort to reach a consensus in selecting the winner. In case of a split decision, the majority rules. If a member of the judging panel believes a fellow judge is not following the rules of the contest, the complaining judge may contact director of awards or the Awards Committee. The Awards Committee will determine whether the contest rules are being violated. The judging panel selections of a winner are final except in the extraordinary case in which the Awards Committee determines that the contest rules have been violated. The Awards Committee may not overturn a judging panel's decision merely because the committee believes another entry is more worthy. The committee may act only if by majority vote it determines that the judging process violated the contest rules or that a place-winning entry must be disqualified for failing to comply with the rules. In that extraordinary case, the judging panel will promptly reconvene and make another selection. Under no circumstances will the Awards Committee, the SEJ board of directors, the SEJ staff or awards personnel, SPJ board, staff or awards personnel or board or staff of the Nina Mason Pulliam Charitable Trust select the winner. 8. CITATION FOR WINNING ENTRY: With input from the rest of the panel, the judging chairperson will write a brief statement (at least one paragraph) explaining why the winner is worthy of special recognition. The citation must be reviewed and approved in writing by all members of the judging panel, and then sent to the awards director. It may be published later in SEJournal Online and on SEJ's Internet newsgroups and web pages after the winner is publicly announced. 9. JUDGING DEADLINE: The judging panel must make its final decision no later than August 20. By that date, the chairperson must inform the awards director of the panel's decision and send the director the citation for the winning entry. All judges on the panel must independently communicate their agreement with the panel's decision. 10. CONFIDENTIALITY: Judges must never divulge any information about their deliberations, including their evaluation of individual entries, except to inform the Awards Committee about which entry has been selected and to transmit the citation for the prize-winning entry. The only exception is that under extraordinary circumstances judges may be asked by the Awards Committee to discuss their deliberations with the awards director and/or committee, but only if the director or committee believes that information will help them make a determination on whether the judging process or a particular entry violates the contest rules. In that case, the awards director and/or committee will also keep that information strictly confidential.